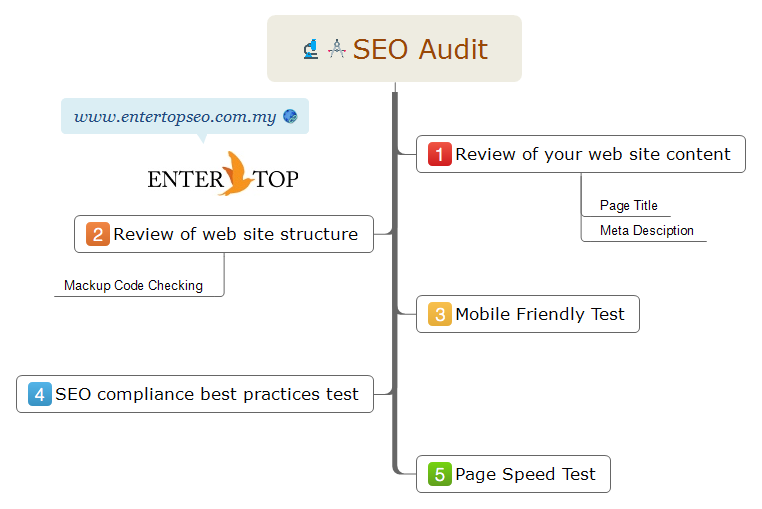 How we do the SEO Audit Service. When you are planning to create a new website or redesign/revamping the business website. You need to hire SEO to ensure your website builds on SEO best practice. Our Entertop SEO specialist provides the SEO audit service for the local business. Check whether the website have the high-quality content. Check whether the website have SEO structure. Mobile friendly is very important for the SEO, We need to target the mobile-first indexing. We will find out why the search engine show showing your site “Not Mobile Friendly Site". We use Bing Webmaster to discover which areas of your site may need work to comply with SEO best practices. We use PageSpeed insights to to check the performance of a page on both mobile and desktop devices. The report will be generated with a score. The score below 50 is means the web page is slow. Click the button to submit your enquiry.